For eight days beginning in late July, the women will travel and study in Israel, visiting sites like the ancient mikvah in Tzfat, Independence Hall in Tel Aviv and the Western Wall in Jerusalem. They’ll climb Masada and swim in the Dead Sea and have the chance to meet 400 like-minded women from around the world. They’ll also have daily classes while in Israel, focused on topics like marriage, self-esteem and incorporating Jewish values into their lives. New this year, the women will have the chance to experience life on a kibbutz in Yoav -- the Lehigh Valley’s partnership region -- and build strong bonds with four women from Yoav, who will accompany them on the entirety of the trip. Upon returning from the trip, the women – all moms – will embark on a year-long course of study to further the lessons they received and learn how to bring those lessons into their homes. This year’s cohort is comprised of: Wendy Edwards, Feather Frazier, Nissa Gossom, Gwen Hartnett, Jennifer Lader, Amy Sams, Joelle Saunders, Brenna Schlossberg, Jacqueline Schwartz and Julia Urich. The women range in age from 35 to 52. All are committed to raising Jewish children and looking to learn and grow. 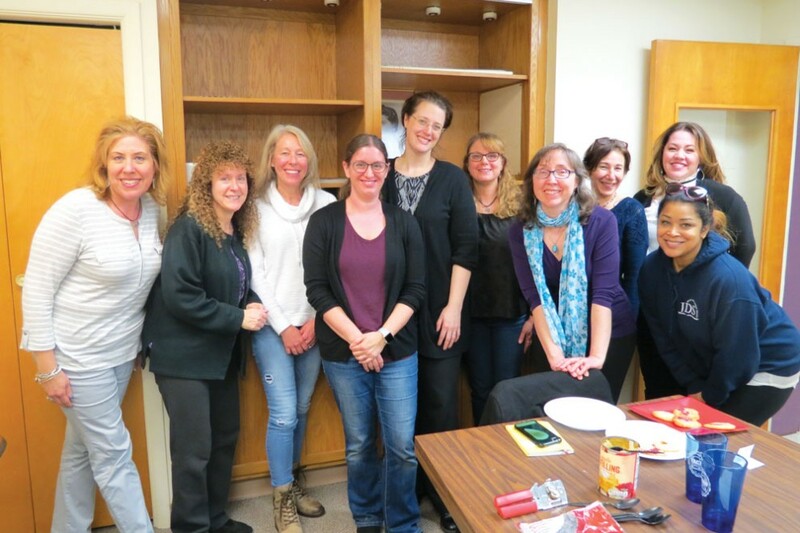 The group came together for the first time on March 19 to bake hamentaschen and get to know each other better. They will hold two more pre-meetings before the trip begins in Israel on July 30. Are you interested in being a part of next year’s cohort? Contact Stephanie Smartschan at 610-821-5500 or stephanie@jflv.org to learn more.